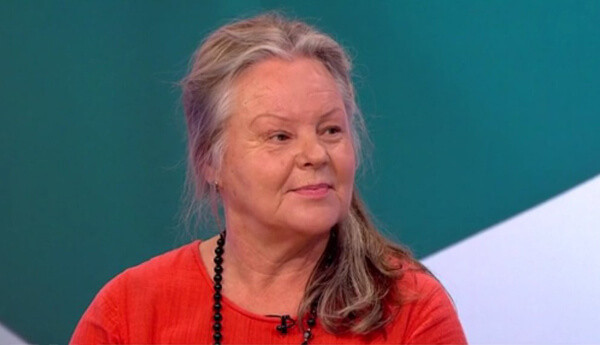 69-year-old Maria Grette of Sweden was duped out of thousands of dollars by a man she began to fall in love with after meeting on the internet. The online relationship, however, took an auspicious turn when Grette had the chance to confront her scammer. It all began innocently enough when Grette’s friends made her an online dating profile for fun. At first, Grette didn’t pay any attention to the messages she was receiving, but one day she was drawn to one in particular. “I still don’t know why. It was like a sudden impulse happening before I could stop it. I was caught up by the atmosphere and by something in his words,” she told the BBC. Grette had taken interest in a 58-year-old Danish man named Dane, who was a civil engineer working in England and a widower with a college-aged son. Grette herself had been a divorcée for a few years at the time of their first correspondence. Grette and Dane exchanged messages back and forth for a while before he began calling her from a UK telephone number. Three months into their budding “relationship,” Dane told Grette that he would visit her in Sweden after a trip with his son to Nigeria, where he had a job interview. Dane called Grette from Nigeria and she even got to speak with his son. But then things took an unexpected turn. Dane called Grette from a hospital in Lagos, reporting that they had been mugged and his son was shot in the head. Without money and papers in Nigeria, Dane didn’t know how he was going to take care of his dying son. Grette rushed to a Western Union office to send money to Dane. But after the initial transfer, Dane insisted there were more complications and more doctors fees. It took several thousand euros before Grette realized something was off and by then she stopped responding to Dane. Three weeks later Grette received a call from Dane. It was a confession. “Dane” was actually a 24-year-old Nigerian “419” scammer (named so after the Nigerian Criminal Code). Johnny (not his real name) had completed university two years earlier but couldn’t find a job. He had called Grette to apologize for his wrongdoing because he actually had feelings for her. Grette and Johnny turned their false romance into a close friendship based on complete honesty, which culminated in Grette’s first visit to Nigeria. There, she met Johnny’s friends, all of whom were also scammers. “I asked myself what I could do to prevent a situation where healthy, good young men fall into this trap,” Grette told BBC. 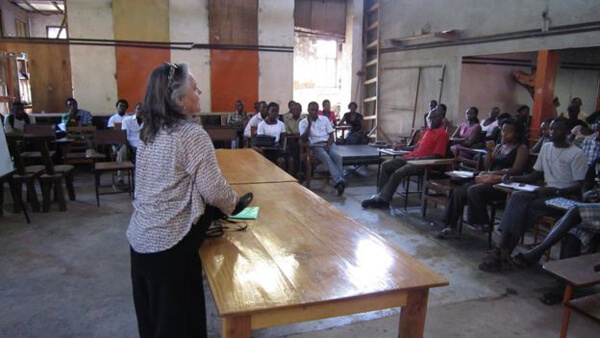 Grette, who works as an art teacher and art therapist, began assisting African artists in sourcing funds to advance their works and arranging visits to Europe for them to expand their craft. Grette’s unfortunate experience lead her to a new sense of purpose. Since then, Grette has also used her efforts to send Johnny to college in America and provided financial assistance until he graduated. They haven’t seen each other since, but the two still keep in touch.